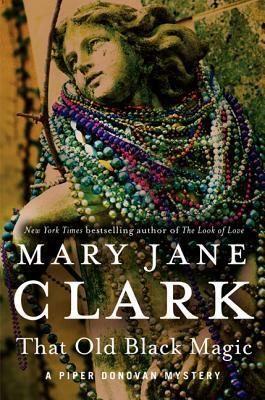 I like mysteries, so I thought I’d try this one and I have never read any Mary Jane Clark novels. Stats: Audio is narrated by Therese Plummer, 6 discs for 7.5′, pubished in 2014, print is 368 pages. Blurb: New York Times bestselling author Mary Jane Clark whips up a savory and suspenseful confection in her newest mystery featuring Piper DonovanAspiring actress and wedding-cake decorator Piper Donovan has barely arrived in New Orleans to perfect her pastry skills at the renowned French Quarter bakery, Boulangerie Bertrand when a ghastly murder rocks the magical city.Intrigued by the case, Piper can’t help but look for the “Hoodoo Killer” among the faces around her. Could it be the handsome guide eager to give her special private tours? Or the inscrutable jazz musician who plays on historic Royal Street? What about the ratings-starved radio talk-show host? Or even the amiable owner of the local Gris-Gris Bar?Though Piper has a full plate decorating cakes for upcoming wedding celebrations, she’s also landed an exciting but unnerving role in a movie being shot in the Big Easy. When the murderer strikes again, leaving macabre clues, she thinks she can unmask the killer. But Piper will have to conjure up some old black magic of her own if she hopes to live long enough to reveal the truth. What I liked: I’m not sure. It was an “okay” read and I didn’t figure out “who done it” before the author told me, but it was just kind of blah. I’m not even sure why I say that. I guess Piper was not a particularly interesting character and I guess the author really didn’t make me care too much about her. Maybe if I’d have read other books in the Piper Donovan series – this is #4 I think – I might have enjoyed it more. Oh, and Theresa Plummer does a fine job. What I didn’t like: It wasn’t so much I didn’t like this thing I’m about to mention, it was more that it seemed odd – Piper is a cake decorator and an actress?! What? The oddity of this in the story is she is visiting New Orleans to work with a renowned baker, then she hears about a 2 day acting job. Weird. Two day acting job in a movie? I don’t know the movie business much but that seems very unrealistic. I could see an actress moonlighting as a baker between gigs but to take on intership, so to speak, for baking must mean you’re serious about baking. But how can you be serious about baking and be serious about acting. I know it’s picky and this is supposed to be a cozy mystery, but…it just bothered me. And the writing was “okay.” It wasn’t very inspiring, if you know what I mean.